As expected, VMware today officially unveiled a new component of its vCloud management infrastructure: vCloud Request Manager. Available in Q4 2010 as an extension of vCloud Director, Request Manager is a self-service provisioning portal that allows administrators to automate the cloud services provisioning workflow. As soon as an end-user requests a new vApp from the vCloud Director catalog, Request Manager issues an approval request to one or more managers, tracks licensing usage (and denies provisioning if no licenses are left), and sends approval notifications to the right recipients. In similar ways, when a vApp is manually deleted or expires, Request Manager keeps track of its decommissioning and updates the used licenses counter. On the back-end, administrators can design the workflow through a graphic interface, and define Blueprints elements, to customize vCloud Organization objects on details like VM quotas, cost allocation models, default leases and compute/storage/network settings. vCloud Request Manager is a key component of vCloud architecture, mandatory to build a truly self-service private cloud computing infrastructure but it’s not a new product. This technology has been already delivered under the name of vCenter Lifecycle Manager, released in March 2008.
vCenter Lifecycle Manager was built on top of the orchestration framework that VMware acquired from Dunes Technologies in September 2007 and that bundled for free with most editions of vSphere 4.0 under the name of vCenter Orchestrator. The product has been put in End of Life starting September 1, 2010.
vCenter Orchestrator is still available in vSphere 4.1 and customers may use it to build their own version of Request Manager, which leverages the vCloud APIs. Despite that, VMware plans to license Request Manager per VM, charging $100 per VM as soon as the product will be out. 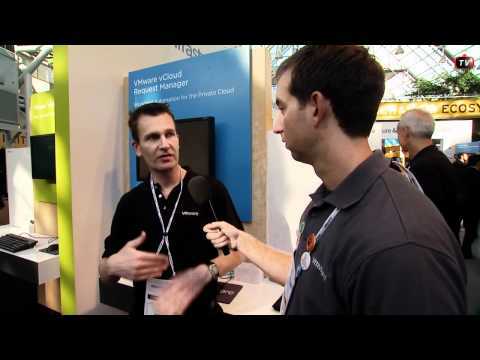 Update: VMware published a very short video interview about the product. The interesting part is at the end, where it’s shown how the web-based self-service provisioning portal is designed to support the Apple iPad browser and screen real estate.